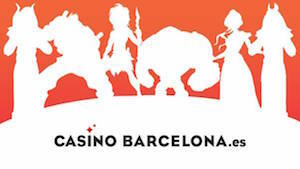 Gaming solutions supplier Yggdrasil has signed a content partnership with Casino Barcelona. Casinobarcelona.es is the online platform of Casino Barcelona, a landmark on the casino map in Europe. Being licensed by Spain’s National Gambling Commission enables Casinobarcelona.es to offer all games on their platform to a large local customer base. Yggdrasil will provide its premium portfolio of casino games as well as its in-game promotional tool Boost, accelerating the growth of casinobarcelona.es in Spain. The games will be available on both desktop and mobile devices and include latest slot release Wolf Hunters, classic titles such as Valley of the Gods and the blockbuster Vikings trilogy that has proven very successful in recent years. Fredrik Elmqvist, CEO at Yggdrasil, said: “I’m delighted to be partnering with Casino Barcelona, one of the most significant and prestigious brands in Europe.